The lightweight: minimalist alpine backpack with roll closure for shorter mountain tours when every gram counts. 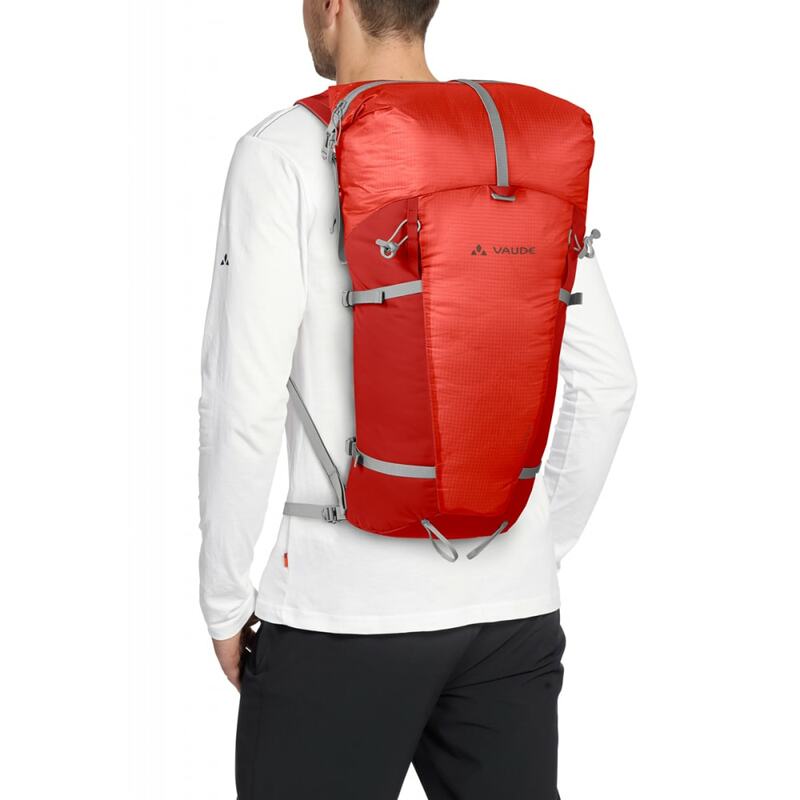 One of the lightest touring backpacks for mountaineering – weighing less than 600g (1.3lbs). 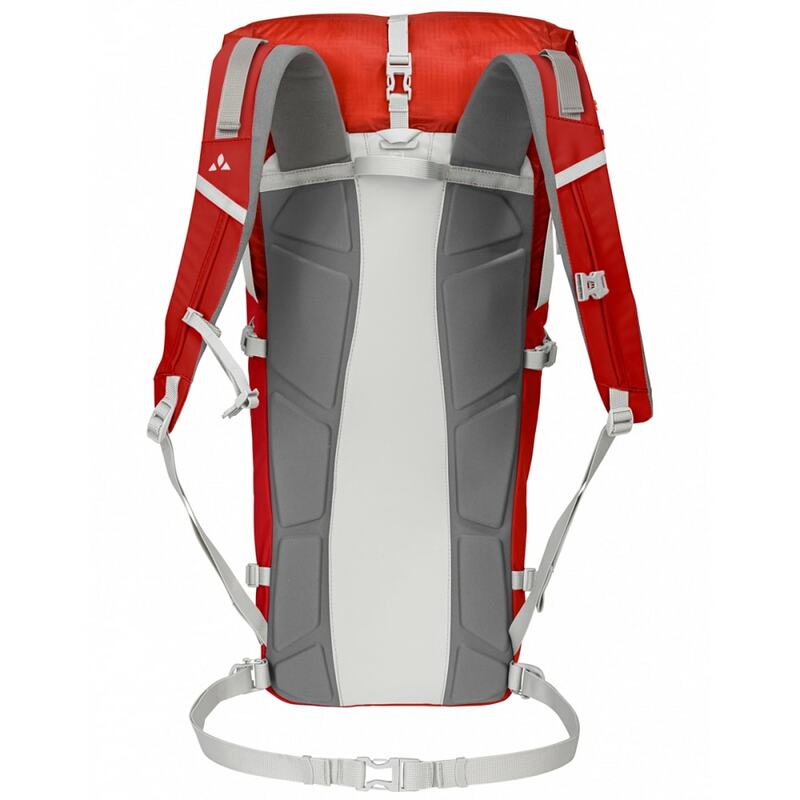 Molded padding at back – Two shapeable, lightweight aluminum stays for back stabilization, which may be removed to reduce weight – Removable back padding doubles as seat cushion – Removable webbing hip belt – Roll closure for easy access – Inner zip pocket – Detachable top compression strap – Side compression straps – Lightweight siliconized fabric – Reinforced bottom – Lightweight buckles throughout – Attachment point for ice tools – Opening for hydration system. 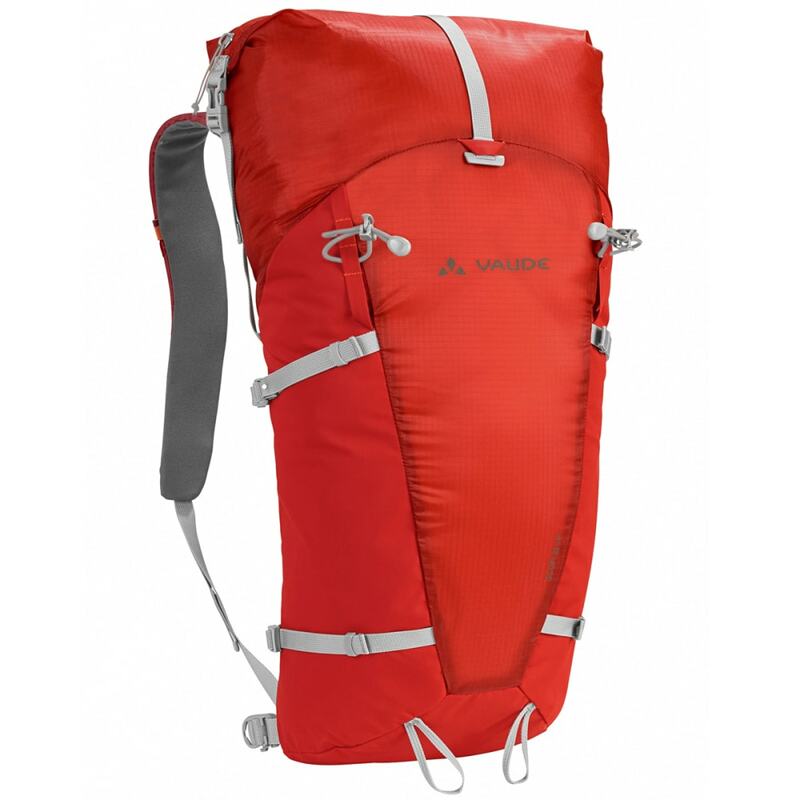 This product will be shipped directly from Vaude and will leave their warehouse in 2–3 business days. Eligible for ground shipping only. Weight: 625g / 1 lb., 6 oz.